HEAVENLY FATHER IN THE NAME OF JESUS BY THE POWER OF THE HOLY SPIRIT THROUGH THE INTERCESSION OF MAMA MARY & ALL THE GREAT SAINTS OF OUR LORD,I BREAK ALL KINDS OF CURSES MOST SPECIALLY FINANCIAL CURSES UPON MY LIFE & I ASK YOU LORD GOD TO REPLACE IT WITH FINANCIAL BLESSING/BREAKTHROUGH SO THAT I COULD SUPPORT MY FAMILY'S NEEDS. AND AS I RECEIVE YOUR BLESSING TEACH ME TO BE A BLESSING TO OTHERS. 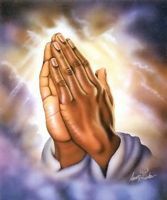 IN JESUS MIGHTY NAME I PRAY,AMEN!! !